FOCUS: CANNABIS CULTURE Come celebrate MVFF’s 40th anniversary with this special screening of Woodstock, which screened at MVFF’s inaugural festival in 1978 in tribute to cinematographer David Myers. Innocent, hopeful, and groovy, the musical happening at Yasgur’s farm instantly obliterated everyone’s expectations, and this documentary became a cultural and cinematic touchstone. No one had ever witnessed anything like this three-day gathering, which was genuinely peaceful despite times no less polarized than our own. 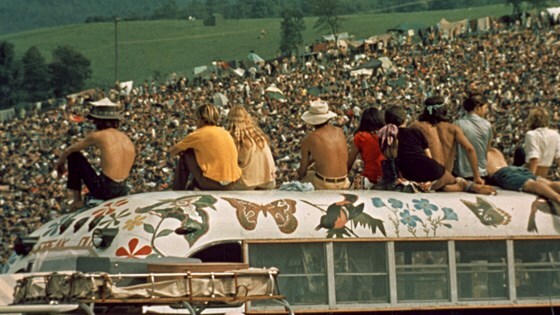 Jerry Garcia marveled at the “biblical, epical, unbelievable scene,” and Woodstock captures every intimate detail: the acid and the skinny dipping, the babies and freaks, dumbstruck locals and awestruck promoters, Grace Slick’s electric blue eyes and Richie Havens’ fast-tapping foot, plus every bead of sweat flying from Joe Cocker’s head. Hendrix, Joplin, Santana, the Who, CSNY: No concert film boasts a better soundtrack, or better stage announcements. Be there.